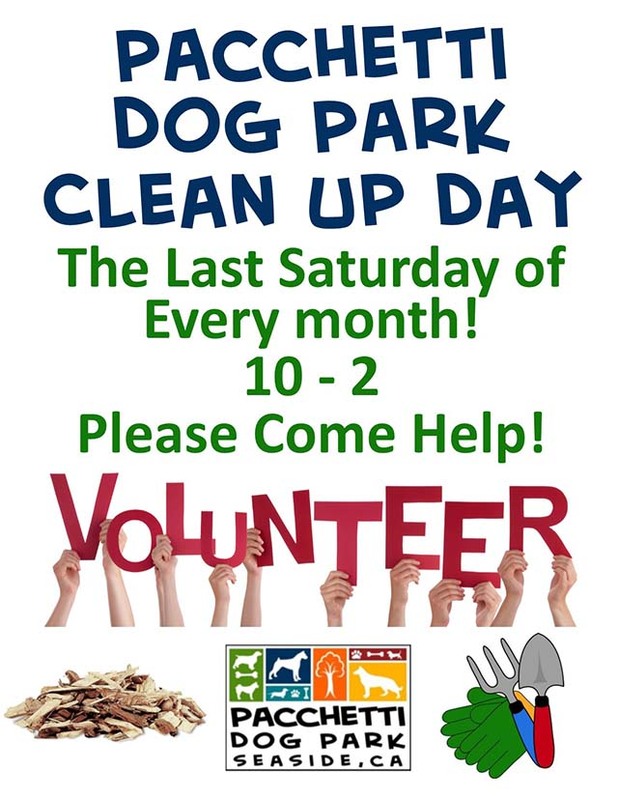 Pacchetti Dog Park is a community dog park run by volunteers. Our park has 1.7 acres that run along Kimball Ave ending at Noche Buena St. where dogs can get “up to speed” and get it “out of their system.” A separate area for small dogs and a path swept daily by volunteers, our park has trees, sun, sometimes a cool wind, and a bit of ocean view. Regular Board Meetings held @6:00 (NEW TIME) on the second Thursday of every month at the Oldemeyer Center in Seaside, 986 Hilby Ave in the Seahorse room. All are welcome. Thursday, April 11, @ 6:00pm Next Board meeting.